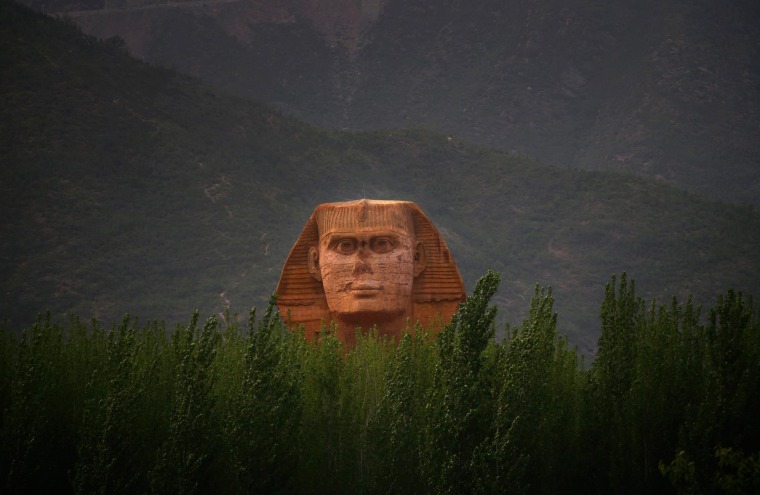 A full-scale replica of Egypt's Great Sphinx has been built in a Chinese theme park, Reuters reports. It's not the first iconic tourist site to be recreated in China. A copy of the Eiffel tower looms over a Parisian-styled town near Hangzhou while a facsimile of a scenic Alpine village is being built in Guangdong province.